It's December 1st, which means I've given myself permission to wear a festive jumper and start bingeing on Christmas tunes. Today is also the first window opening of an advent calendar. 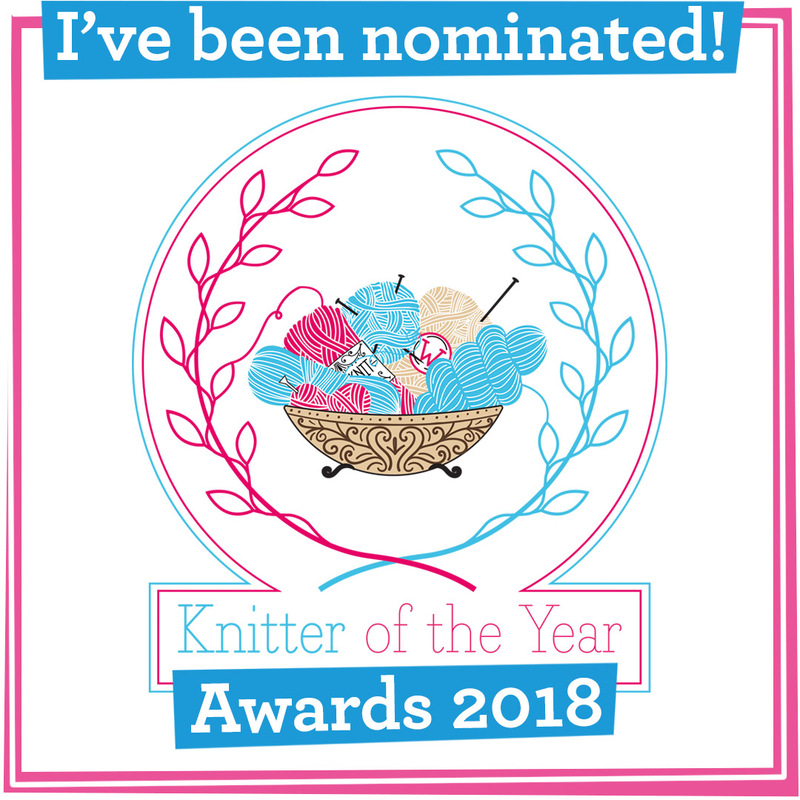 This year I am lucky enough to have two: a Maltesers cardboard one and an advent yarn box I bought from West Yorkshire small yarny business Baa Baa Brighouse. Sadly the Maltesers calendar was a huge disappointment because I was daft enough to not read the small print! It's a Maltesers calendar without any Maltesers - instead there are small chocolate shapes that I don't particularly like the taste of. 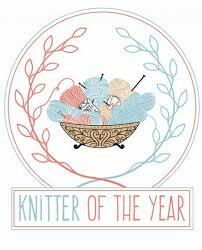 My loss will be Mr A Woolly Yarn's gain instead. 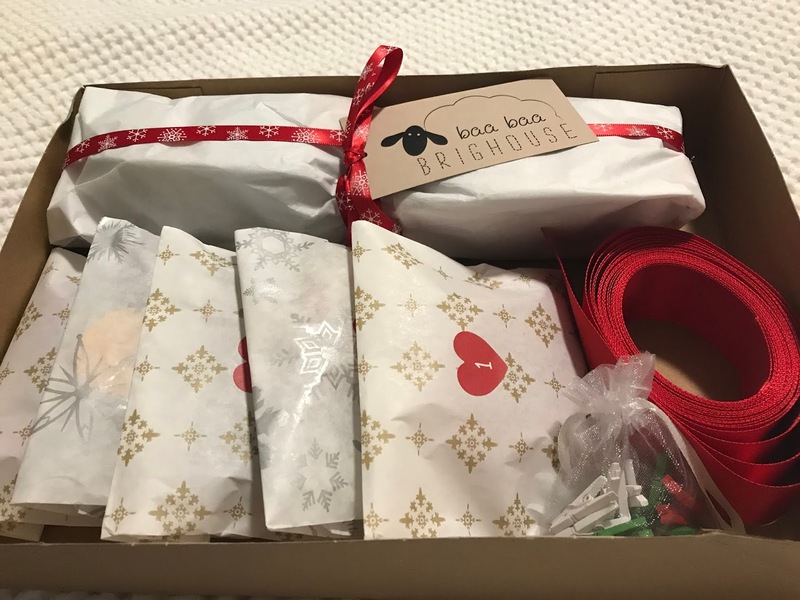 Therefore the pressure was on the Baa Baa Brighouse Advent Yarn Box when I came to opening it. Would it be worth its £75 price tag? 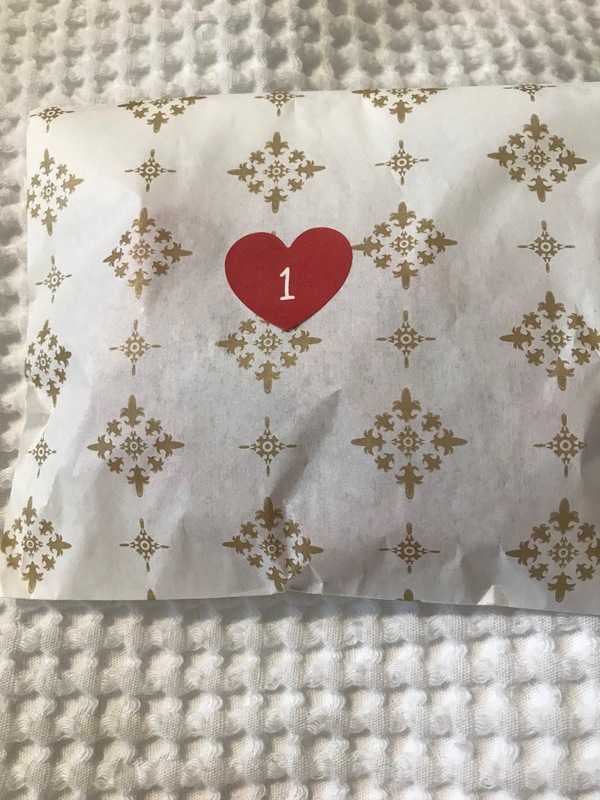 I opened the ribbon to see what's inside. 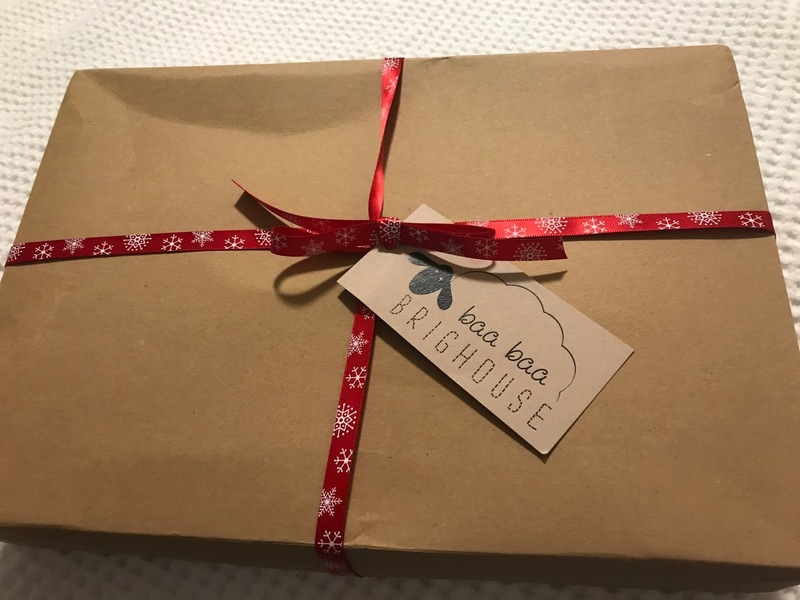 There are 24 small parcels containing mystery shades of 10g of Baa Baa Brew Bluefaced Leicester DK. 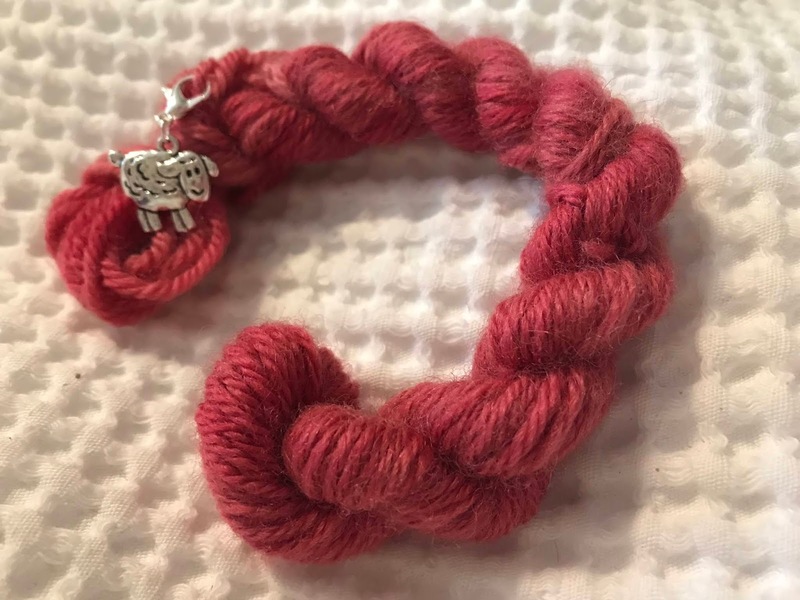 It's a hand-dyed Yorkshire yarn that ticks the provenance box. There are also a long piece of red ribbon and mini clips to attach the advent parcels to it. 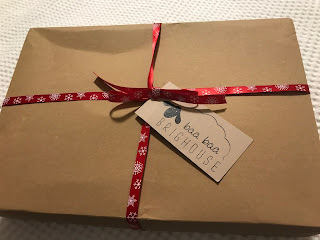 Baa Baa Brighouse suggests you hang the parcels up as a decoration by your tree but as I've not got round to putting up any festive ornaments yet I cut straight the chase - parcel number 1. It's a really lovely pinky/red skein with an extremely cute sheep charm attached. If that's anything to go by then I'll be waking up early on the next 24 days just to open the next parcel! I haven't yet decided what I'll make with the skeins but they will come in very handy for colourwork. Watch out for a very special Christmas competition that will be announced on the blog and on our Facebook page. Like the Facebook page to be one of the first to find out. Until then, mum's the word!